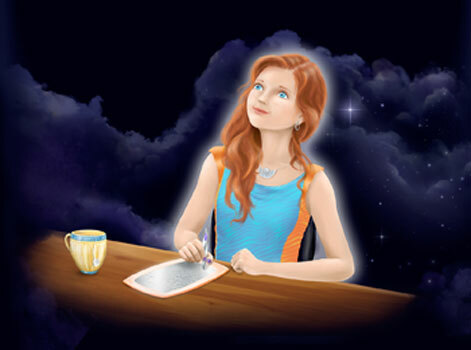 Secrets complicate the life of 12-year-old psychic Aria Vanir of Virginia Beach, from the predictions she receives to the alien lands she views when she stares at the stars. In Aria’s universe, spiritually and technologically advanced aliens–the Gallions–have been waiting for the perfect opportunity to make first contact with a human worthy of meeting their queen. While Aria attempts to pass challenges to meet Queen Supreme Nashata of the Gallions, the Navy sends her SEAL father on a mission to capture or destroy the alien superspaceship. Calling all aliens! Hi. My name is Aria. I’m 12 years old and live in Virginia Beach. Would you like to travel to Earth in your spaceship and visit me? School ends in a few weeks, and we could hang out at the beach every day. Except when it rains. My friend, Tommy, and I build sandcastles. My sister, Jackie, and her friends surf whenever the waves are high enough. Summer is a really funtastic time, especially since I don’t have any homework. I’m sure you’ll be happy here, especially the aliens from the planet with 2 suns and small, treeless mountains and black birds that swim and . . . oh yeah, small waves in a white ocean. We have bigger waves on blue waters, and our birds have to stay in the air or float on the water. Otherwise they’d drown. Jackie couldn’t surf on your planet. We would have fun in a raft, though. Well, that’s all I have to say right now. Ask your parents if you can visit me. Good night. 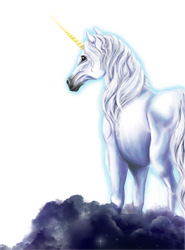 Shemuse, the Gallions’s most talented unicorn for receiving intergalactic messages, hears Aria’s invitation. She gallops to advise Nashata, Queen Supreme of the Gallions, that a human youngirl from Earth’s Atlantic Quadrant has described their lands in perfect detail. Nashata orders her son, Mitushi, commander supreme of the Gallion Fleet, to fly her to Earth on a diplomatic mission to test Aria’s worthiness of meeting the Gallion ruler. The queen also requests that Ora, Mitushi’s wife and expert shielder, join them and bring Ora’s best shielders in case the Gallions experience resistance from humans. The queen warns against any involvement with militaries or governments on Earth. 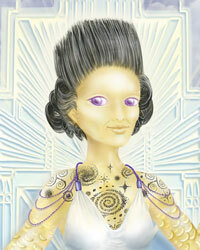 Aria’s secrets unravel when the alien queen, Nashata, decides to make contact with her. Aria’s artsy mother, tomboyish older sister, Jackie, and best friend, Tommy, risk their lives to save Aria. The Navy sends Aria’s SEAL father on a mission to capture the Gallions or destroy their spaceship. Unfortunately, he doesn’t know that he’s placed his daughters in harm’s way. In Aria’s Universe, the Gallions want to make peaceful contact with humans. Can Aria convince those closest to her that good aliens exist? 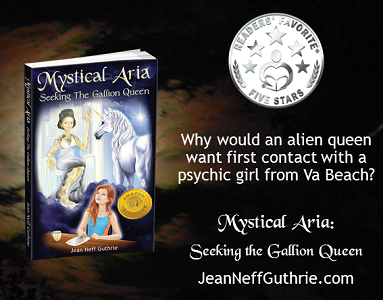 The Mystical Aria series provides an entertaining and relatively nonviolent perspective of a future with aliens. 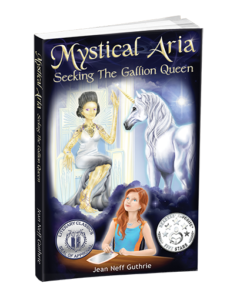 In “Seeking the Gallion Queen”, the advanced aliens—Gallions—use lessons they’ve learned to teach love, prosperity, and infinity to Aria, her older sister Jackie, and BFF Tommy. 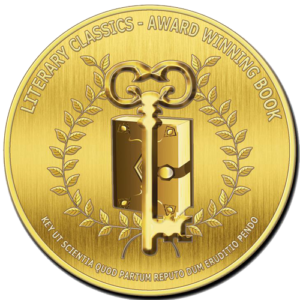 The novel targets kids of age 8 to15, perfect for a YA book club. With its spiritual insights and fascinating characters, parents will enjoy exploring Aria’s Universe with their children. 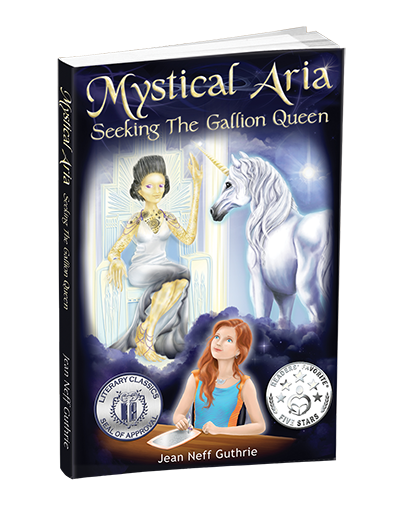 Author Jean Neff Guthrie crafted a Character Map to help readers keep track of the fascinating aliens and humans in her first novel, Mystical Aria: Seeking the Gallion Queen. Anyone who signs up for VIP Access to Aria will receive this Character Map and first two chapters of the novel.